Space industry – Frentech Aerospace s.r.o. Frentech Aerospace s.r.o. has focused on developing its activities in space industry since 2010. 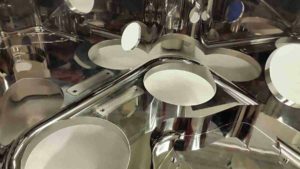 The company has made massive investments into technologies essential for space technology activities such as ISO7 and ISO5 clean rooms, thermal testing and thermal testing in vacuum, measuring of particulate and molecular contamination, etc. Additional tests are carried out directly in the premises of Frentech Aerospace s.r.o. and in cooperation with specialized companies (such as vibration testing, radiation testing, etc. ), according to specific project requirements. 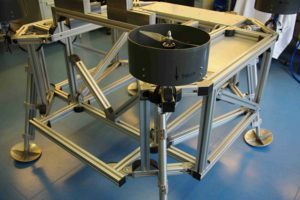 Frentech Aerospace focuses in particular on deliveries of space mechanisms, offering manufacturing of parts, assembly, testing and production of auxiliary equipment (MGSE) for assembly and testing as well as design and thermal design including simulations. Frentech Aerospace s.r.o. performs activities involved in design in cooperation with the highly experienced specialized companies L.K. Engineering, s.r.o. and Sobriety . Frentech Aerospace cooperates with CSRC, spol. s r.o. in the integration of electronics. Thanks to this cooperation the company can offer comprehensive space subsystems. The fact that all of these companies operate in Brno (Czech Republic) is another advantage. Frentech Aerospace also makes use of cooperation with the academic community, technical universities and the Academy of Sciences of the Czech Republic. As part of the cooperation on space projects, Frentech Aerospace s.r.o. is involved in wide international cooperation within the EU and in the USA, in ESA and ESO projects. This involves not only ESA programs, but also commercial space projects. 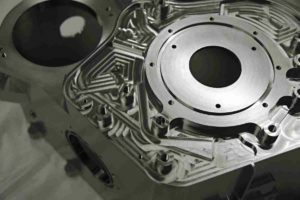 Frentech Aerospace is one of the few european companies qualified to produce titanium parts used in cryostats, including polishing, chemical nickel plating, and PVD gold plating with 99.99% cleanliness. ESA project – cooperation with ARESCOSMO (I). 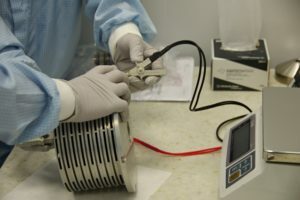 HEPA filters used as the flight models for the Mars mission (EXOMARS 2020) were delivered. 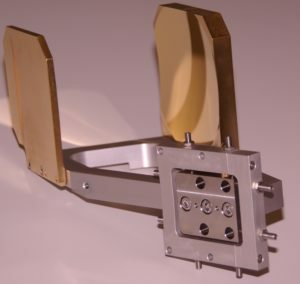 Frentech Aerospace contributed with production, assembly, and testing. A subsystem for the MTG (Meteosat Third Generation) satellites. 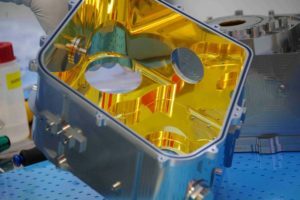 Commercial project (USA) – cooperation with Thales Alenia Space France. 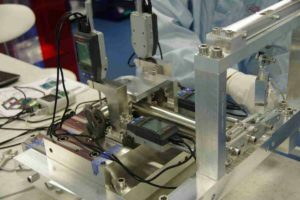 Within this project, Frentech Aerospace manufactures and tests 500 mechanisms for deployment of solar panels for 81 satellites. ALMA (ESO) project. Frentech Aerospace s.r.o. delivered sets of gold-plated mirrors for this project. Frentech Aerospace s.r.o. contributed with production and assembly. JUICE (ESA) project. This project is implemented under a call for the Czech industry. This project involves cooperation of four Czech companies (Frentech Aerospace s.r.o., L.K. Engineering, s.r.o., 5M s.r.o., Výzkumný a zkušební letecký ústav, a. s. ). 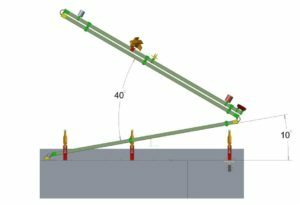 A unique technology for deployment of a three-segment boom is used.. 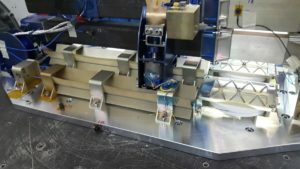 This is a comprehensive project involving design, simulations, production, assembly and testing. Frentech Aerospace s.r.o. provides production and the activities of the Prime Contractor for this project. The demonstration and qualification models will be delivered. ESA project – cooperation with Thales Alenia Space France. Flight models will be delivered. Frentech Aerospace s.r.o. provides the production and testing for this project. Design and production of testing module for future mission to the Phobos.